Are you looking to expand your wedding photography business reach with Facebook? Sharing your work on popular social channels like Facebook can get more clients. In this guide, we will share how to get more wedding photography clients with targeted Facebook ads. When you set up your wedding photography business and it goes strong, you will see the growth. However, it is important to sustain the achievements in your business. Moving to the new techniques like Facebook marketing and targeted ads will expand your reach to the new dimensions. By following these steps, you’ll be able to easily gather the email addresses of people who are interested in your photography services. Then you can use email marketing to convince them to hire you. The first thing you need to do is to create a new WordPress page on your wedding photography site. This page will serve as the landing page for your clients from Facebook ads. You should create a lead magnet on this page. This lead magnet will help in converting the abandoning visitors into subscribers and customers. Make sure that your lead magnet is relevant and action-driven, so the potential wedding photography clients get the best return of sharing their personal information. A good lead magnet for a wedding photographer might be a list of poses, a wedding day photography checklist, or a short e-book guide to choosing the right wedding photographer. 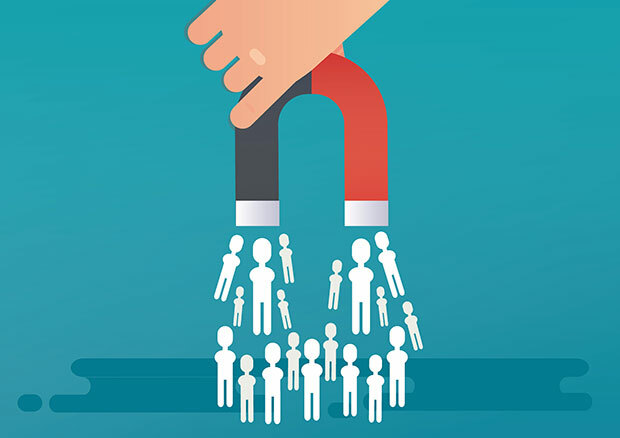 It is recommended to check out this guide on 69 highly effective lead magnet ideas to grow your email list for more ideas. You’ll be getting the users from Facebook on your landing page and then capturing their email addresses. Wondering how? We will explain it in the next step. However, your visitors may close the landing page if the lead magnet don’t attract them. You should give them another reason to subscribe with an optin. Simply use the OptinMonster plugin to create an option on your landing page. You should check out this guide on how page-level targeting will help you generate more leads. With OptinMonster, you can set up an email signup form that only appears to your visitors from Facebook. Now you have a landing page with the lead magnet and running an OptinMonster campaign. The next step is to simply create a targeted Facebook ad to bring the couples to your site. You should check out our complete guide on how to create wedding photography Facebook ads with examples. That’s all! We hope this guide has helped you to learn how to get more wedding photography clients with targeted Facebook ads. 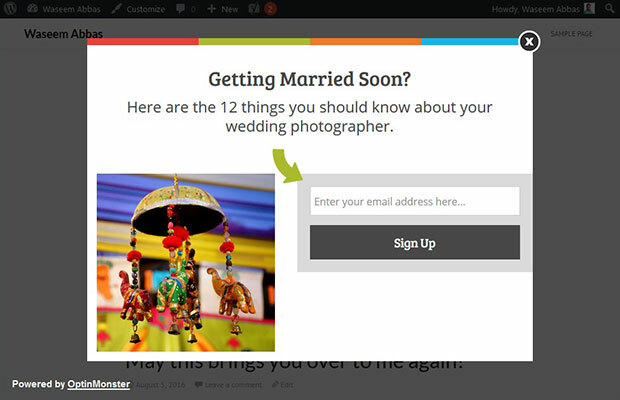 You may also want to check out our guide on how to get wedding photography clients using WordPress. In case, your new landing page is loading slow, simply check out this ultimate guide to boost speed and performance.